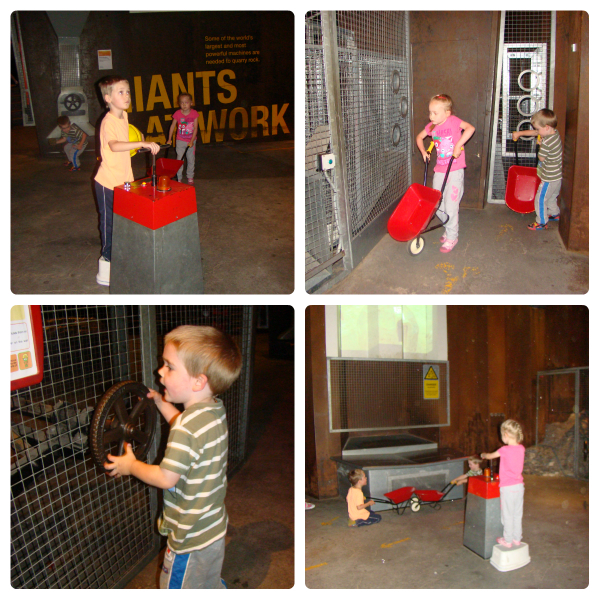 Today we went to Magna Science Adventure Centre. We went for the first time in January (you can read about it here) and the entry ticket is valid for a year, so being back in Sheffield again the kids were keen to go. 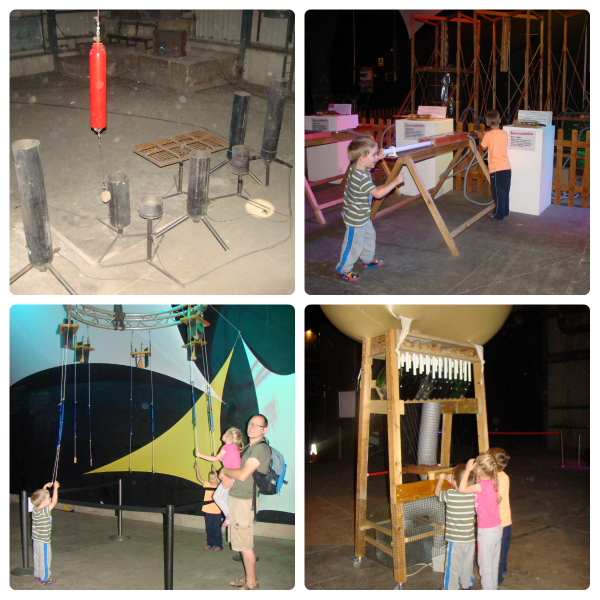 When we got there we were told about the new exhibition, all about sound. We went to look round this first and had fun making different sounds with different instruments. After the sound exhibition we went into the main centre and went into the Earth Pavilion. The kids had been talking about this for days and were really looking forward to using the diggers and blasting the rocks again! We spent a good 45 minutes working in the quarry! After a picnic lunch outside, we went back in and had a look round the Water pavilion. This had changed slightly since we were there in January and they now have a water cycle display, which I thought was really good but I don’t think the kids even looked at! The kids had a great time playing in the water. 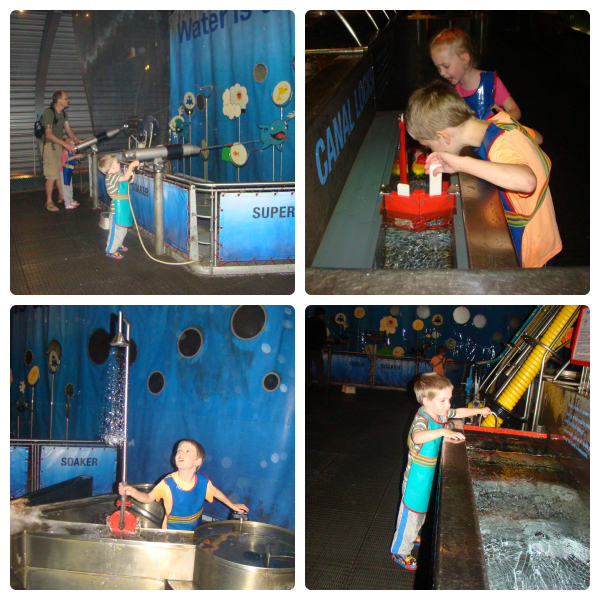 After indoor water play we headed outside to Aqua-Tek and Sci-Tek. 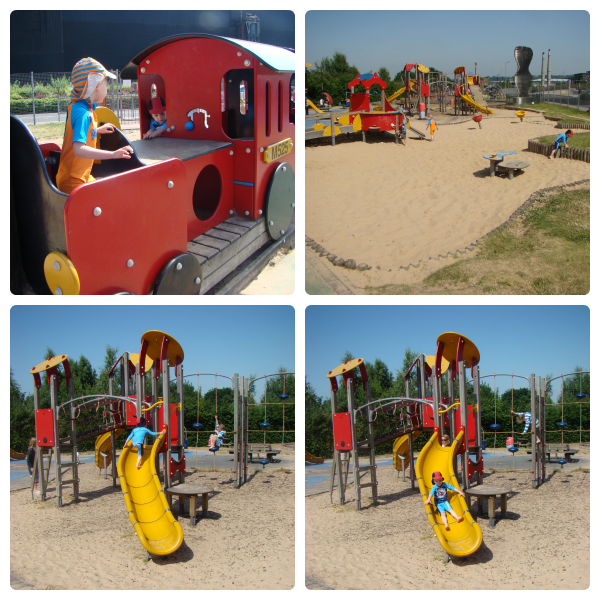 These outdoor areas were closed in January so we had left plenty of time for the kids to play today. Thomas went straight into Aqua-Tek and had a wonderful time splashing, running and jumping through the water and spraying water cannons. Ben went in for a few minutes but he had spotted a sand pit in Sci-Tek, so this is where he wanted to be! Jasmine didn’t want to get wet today so she played in the sand as well. Ben also explored some of the climbing frames and slides. 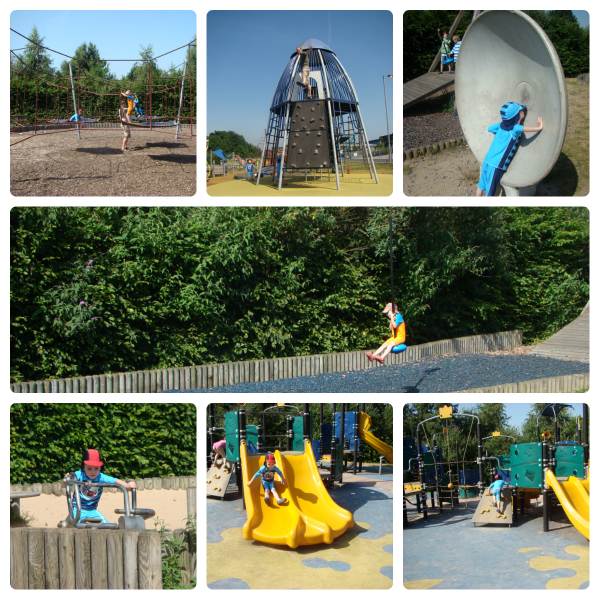 When Thomas had finished in Aqua-Tek we all went further down the playground in Sci-Tek and found more to explore. Even Gordon had a go at some of the climbing! We had a great day at Magna again today, and especially liked the outdoors areas. I can see it becoming a regular place to visit when we are in Sheffield!